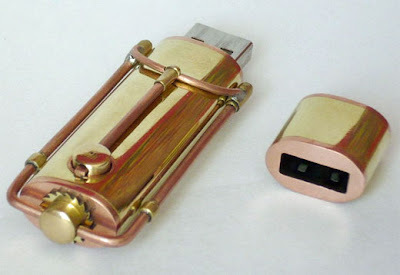 Pendrive in steampunk style made by tarator from modding.ru. More info and photos here (in russian). 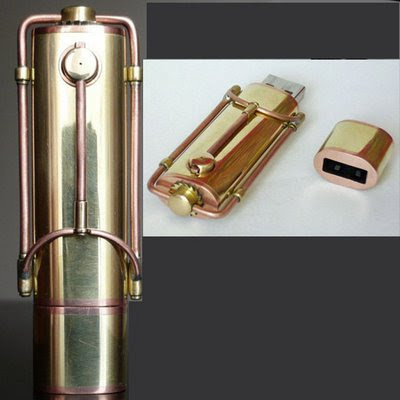 The main body of it appears to be brass, with either copper or pink bronze wire framing. I appreciate that someone actually MADE it out of metal, versus painting it metal. So pretty! 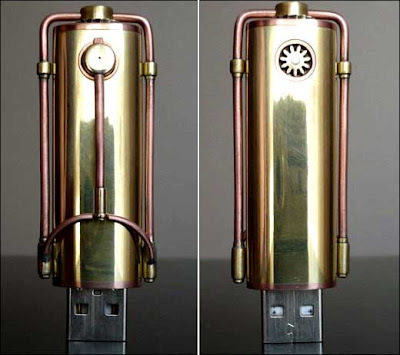 OK, it is made of metal. I found more info about this one and author.